Chet was always in search of knowledge. This booklet was originally published in the 1950's and contains Chet's theory on "Round and Square". 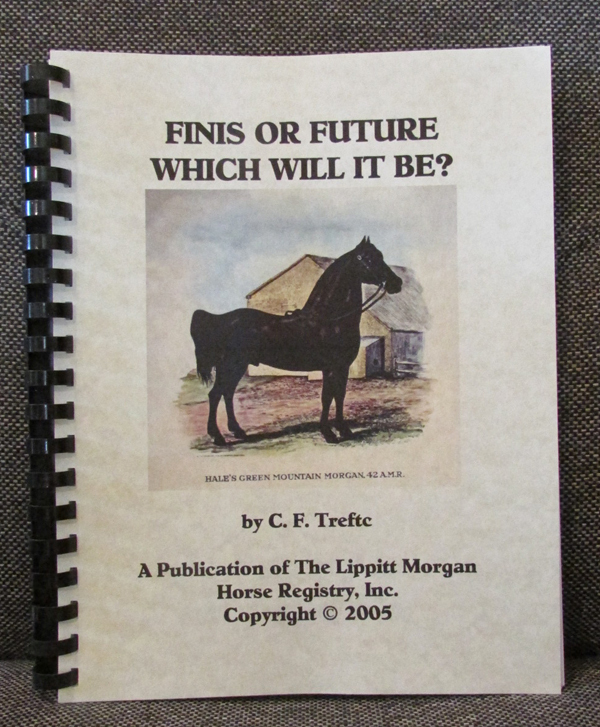 Finis or Future is now available for a limited amount of time at the introductory price of $30 which includes S/H in the continental U.S. Included within the booklet is a foreword from Bob Schaumberg as well as numerous quotes/stories from Barbara Treftc. Booklet is 8 1/2" wide and 11" in height. Total of 50 pages includes front and back pages which are on parchment paper. THIS IS A LIMITED PRINTING RUN! 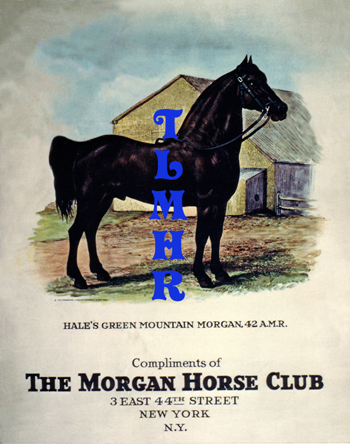 TLMHR, Inc. is offering a collectible, limited edition print of "The Men Behind the Lippitt Morgan I. 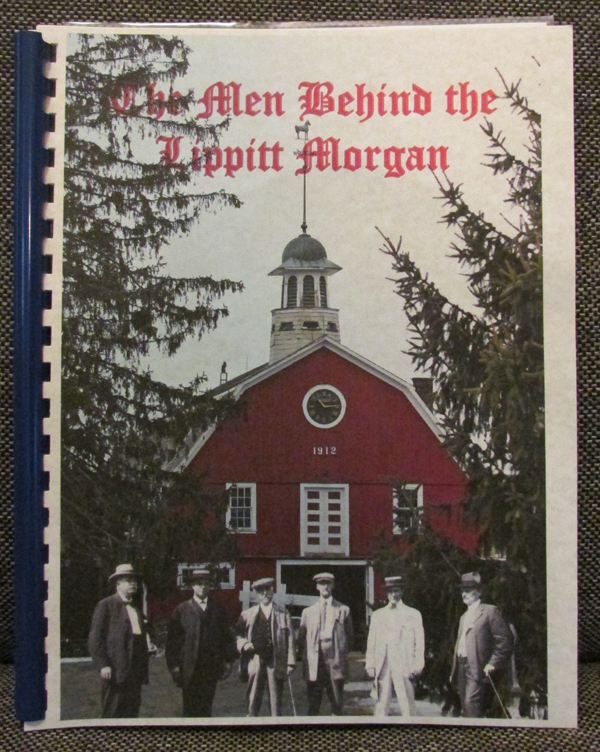 This is a "must have" for serious Lippitt Morgan enthusiasts!. This glossy photo print of our prominent historical breed founders is an 8 1/2" x 11" print with accompanying pages on parchment paper giving a brief synopsis of each man. Also included is a key identifying who each man is in the print . 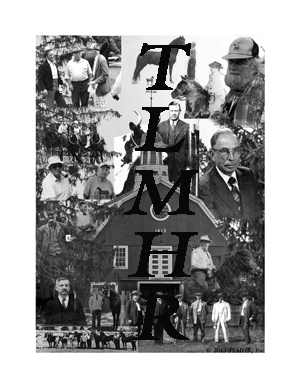 The background is of Elmer Darling's Mountain View Barn taken by photographer Linda Orlomoski. This is a limited edition offering. Each print will be stamped and numbered. This educational material is a wonderful gift for someone interested in our breed's founding fathers, or as a gift to yourself. Price includes shipping and handling. The price is an "introductory offer" at $25.